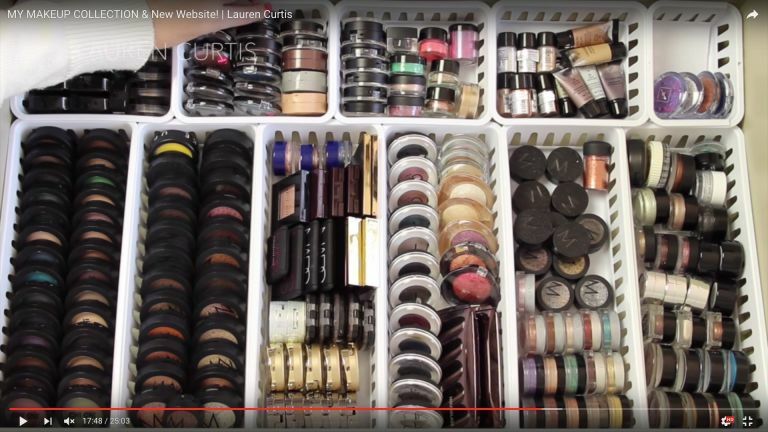 Thought your beauty buying habit was out of control? 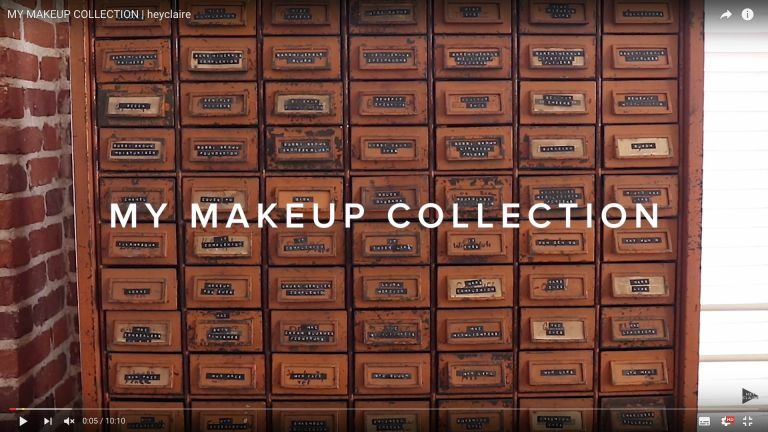 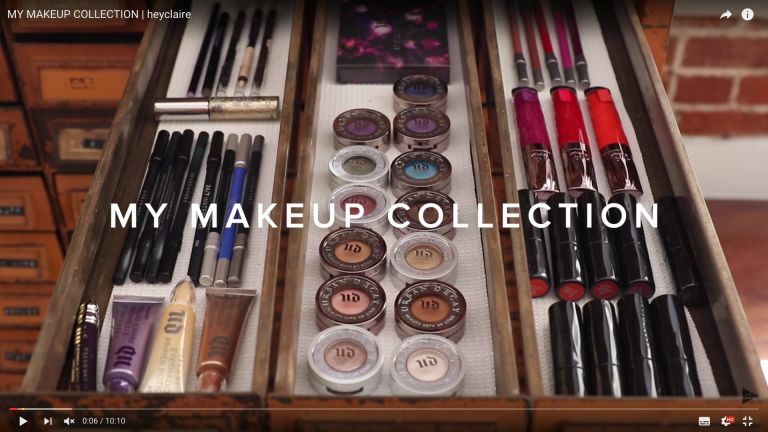 Well these MEGA makeup collections are something else, entirely. 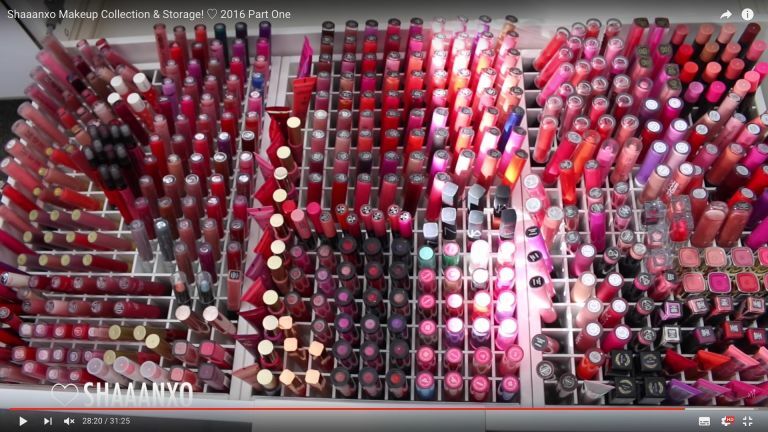 The beauty vlogger from New Zealand has one of the BIGGEST beauty collections we've seen, like ever. 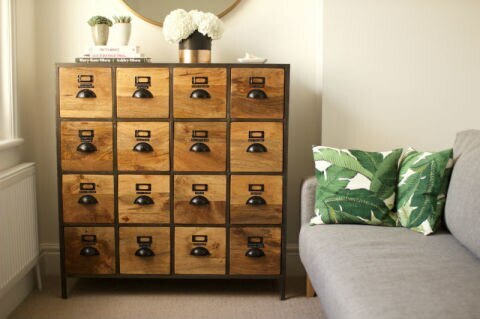 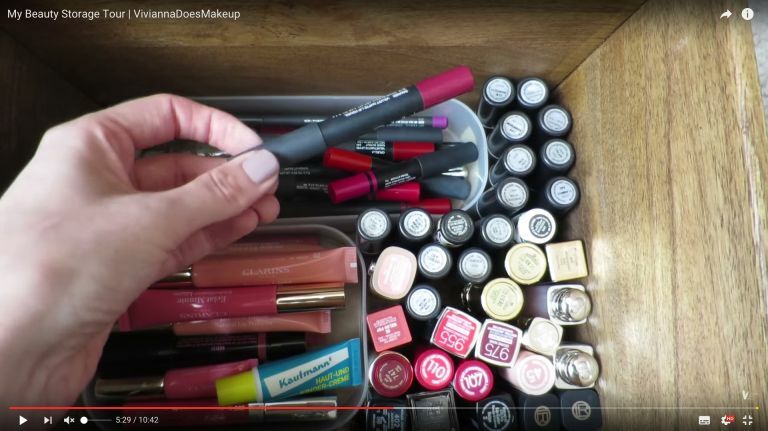 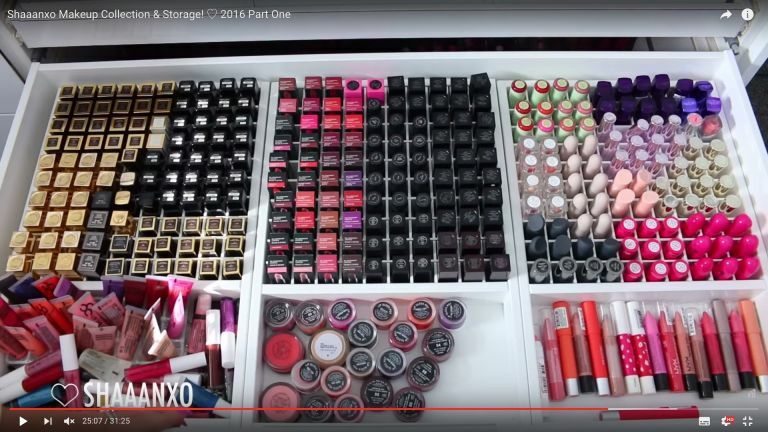 Ok, Brit beauty YouTuber, Anna, may not have a collection the size of a small country but her apothecary drawers storage system is chic AF. 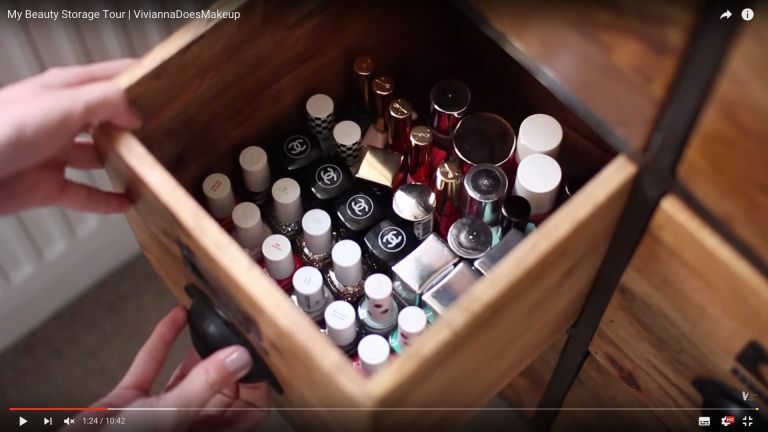 She isn't just a reality TV queen, the 18-year-old gave fans a tour of her 'glam room' on her app. 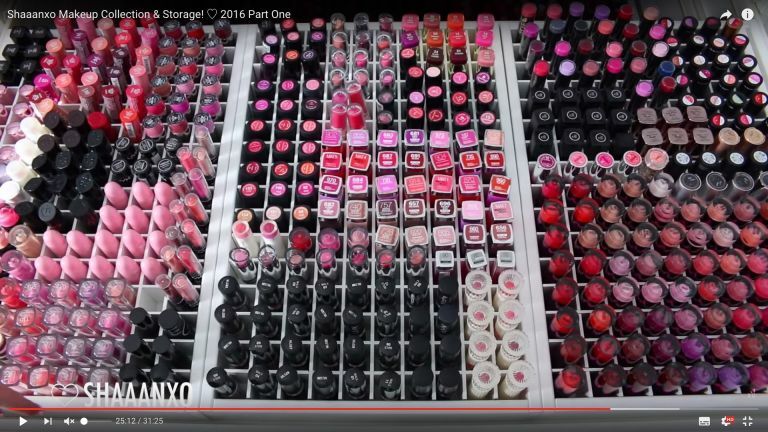 The beauty room comes fully fitted with mirror walls, studio lighting and wall of wigs, standard. 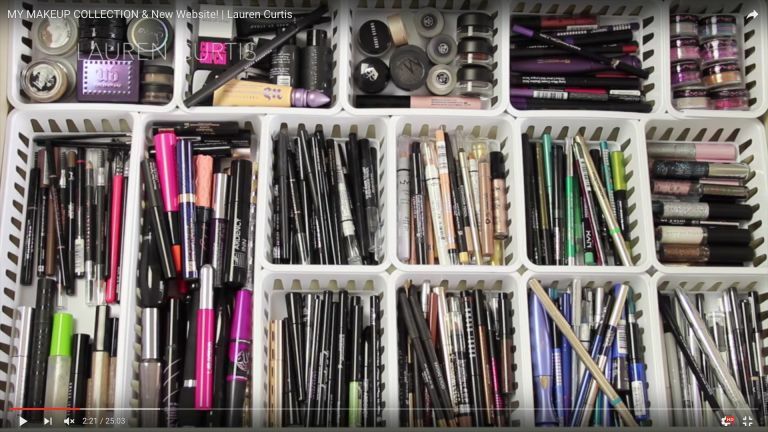 The self-confessed 'makeup addict' from Kuwait has the prettiest pink stash we've ever seen.